We have had the most enchanting two breaks at The Retreat. I first visited this picturesque home away from home, with ten extended family members in July 2017. We all were so enthralled with the place, the hospitality and the awesome food that when planning our next family holiday we could think of no better place. And so we were back again in April 2018, this time in an even bigger group. And it proved to be even better with many moments of fun, laughter and warmth. We have carried many unforgettable memories of The Retreat and of course, want to visit it again soon! 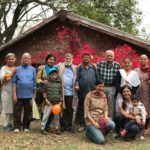 No other choice could have been a better one… Being hosted at the Smetacek’s cottage before and after a meditation retreat in silence at the Sattal Ashram was a great idea. A smooth transition with several common points being the calm and beauty of the landscape (our favorite spot being the Ridge!!! ), good-natured contact with birds, monkeys and dogs… To be welcomed by Paddy, her boys and the team in this colorful, rustic, elegant and clean home is to experience luxury and absolute comfort. The culinary experience is unforgettable: do not worry about your taste buds or your digestive system! There is nothing to be concerned about, neither from the point of view of spices (just ask how (not) spicy you want the dishes to be) nor from that of food hygiene, which is impeccable. We felt so happy here (yes, ‘happy’ indeed in the strong sense of the term) before our meditation retreat that we decided to come back after the retreat was over. 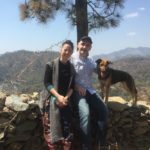 This was our first trip to India and after our stay here, we know there will be more in the future. 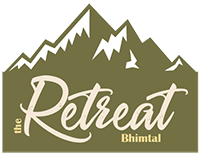 Visiting the Uttarakhand region and staying at the Retreat with the Smetacek family ‘in the hills’ will be a priority in our trip planning.